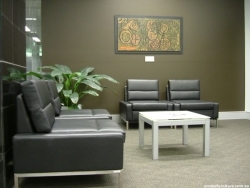 Projex provides furniture solutions for Tasmanian schools, businesses, government departments, community buildings and aged care facilities since 1998. Proprietor Paul Mackey leads a team committed to understanding your furniture requirements in schools, government offices, any business working environment, community buildings and aged care facilities. Projex advice and installation means you get personal service from the time you're planning your fitout, through installation and long-standing after sales service. Projex Furniture will work with you on all aspects of your project, from concept to completion. We liaise with you to design the best solution to meet your needs, and to select the best products to fulfil that design. Our team of professional installers will work with you and your staff to translate the design into reality, not leaving the site until everything is in place on time, fully functional and clean, ready for you to move in. When you deal with Projex Furniture you know that all details will be taken care of personally and with care.